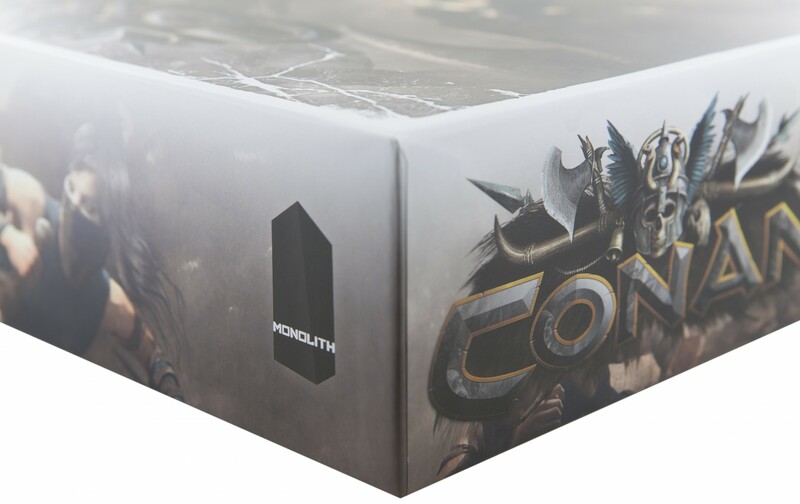 With the specially designed foam tray with the 34 compartments for the Conan expansion: Stygia from Monolith Board Games LLC, you can protect all miniatures, cards in sleeves, tokens and planks from the expansion box. 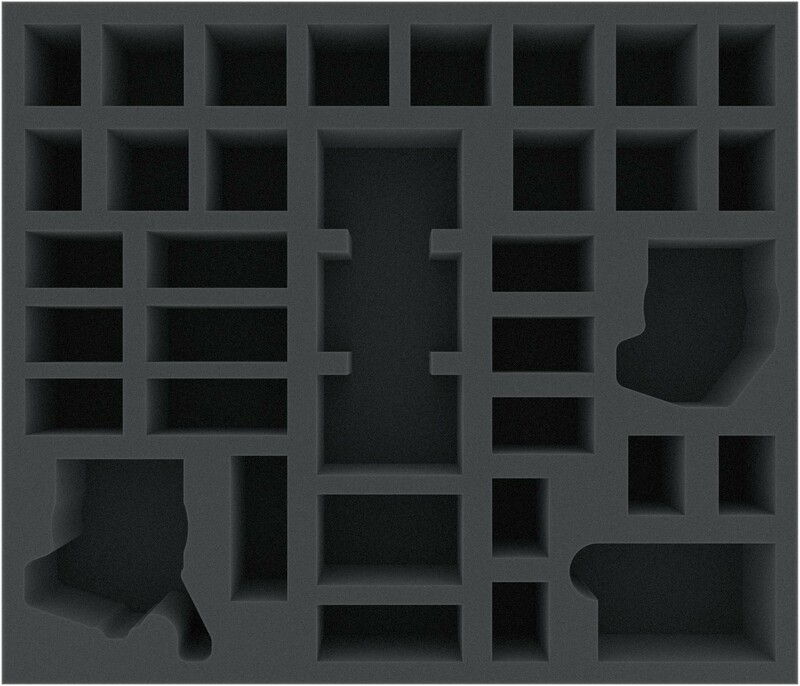 Each miniature has a separate, suitable place in the foam tray. 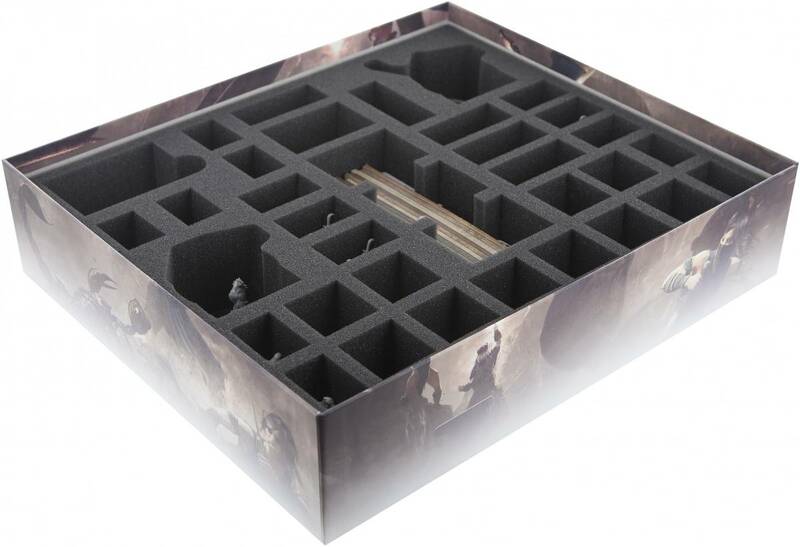 One compartment is provided for the cards, if the tokens are placed together in a slot, a further nine compartments remain free, which can be individually equipped. 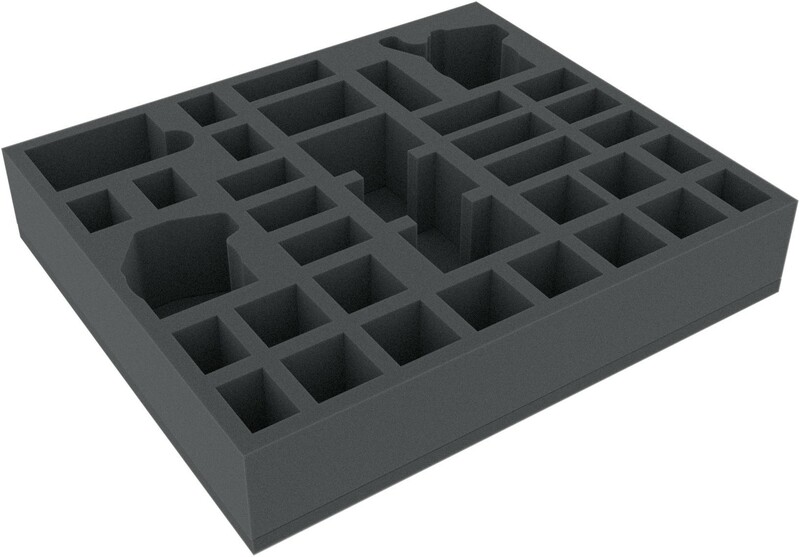 For example, it is possible to fit the miniature of the extension "Yogah of Yag" passively. 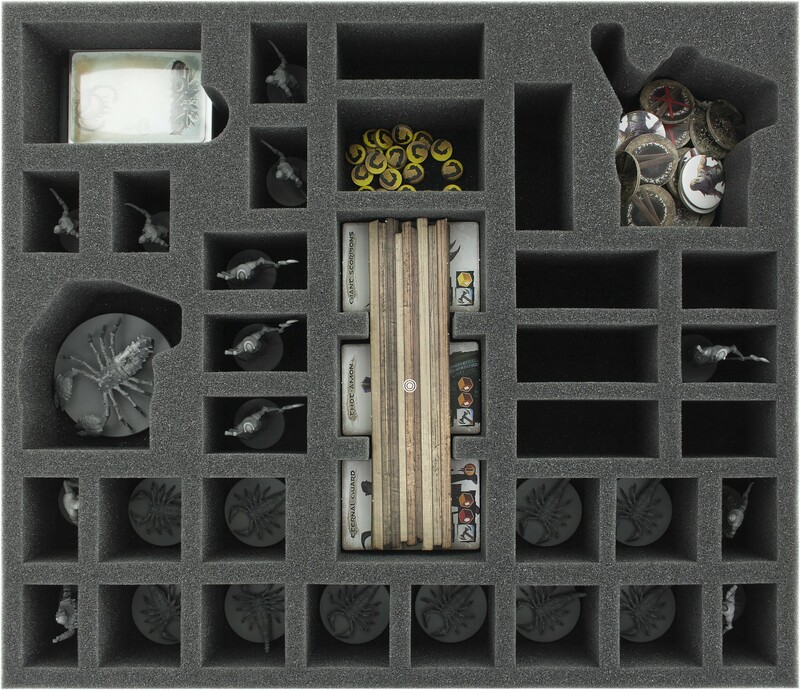 When the foam set, game board and rule book are stowed together in the board game box, the lid closes not flush by a few millimeters.